When you start homesteading, you find that there is a use for everything and stop throwing things away. 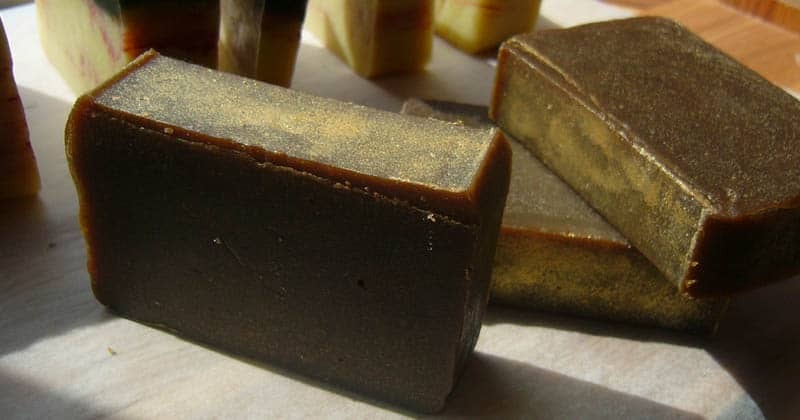 There are even a lot of uses for ash from your wood stove – including making soap. 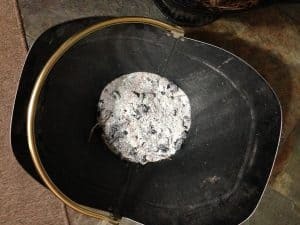 If you want to try this homesteading project, here’s detailed instructions on how to make wood ash soap. Soap is made by mixing together lye (a high pH, caustic substance) with fat (which is alkaline). The chemical reaction between the two produces a soap which is great for cleaning just about anything. You might have even heard of campers or cowboys putting ashes in their cooking pots after eating. The ashes mixed with the leftover cooking fat produce a crude soap. Just rub it around and the dishes come out clean (I wouldn’t wash my body with this though!). 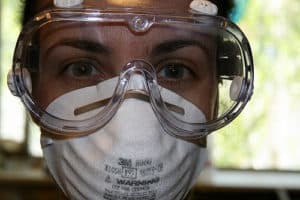 Soap making is serious stuff — wearing protection! You can buy lye at specialty stores. However, this lye is sodium hydroxide. By contrast, traditional lye made from ashes is potassium hydroxide. Wood ash lye is much less caustic then the commercial stuff you can buy. 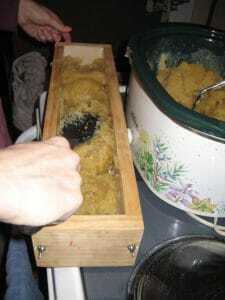 It still works great for making soap, but the soap will be softer and more oily. You won’t get as many suds from wood ash soap either. There are tricks you can do – like playing with ratios and adding salt – to make a harder, less-oily soap. Warning: Even though wood ash lye is less caustic, you should still take caution! It can burn your skin and eat through your clothes. When getting started with DIY soap making, make sure you wear gloves, old clothes, and even goggles. Any type of fat will do for making wood ash soap. 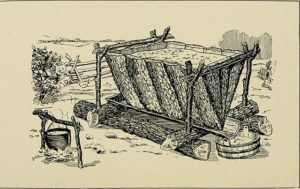 Traditionally, pioneers would use lard or tallow to make soap. 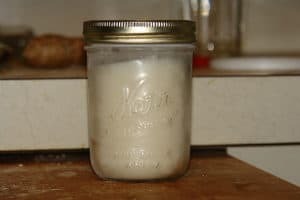 Learn how to render your own lard/tallow here. You can also buy quality grass fed beef tallow on Amazon. If you want a nicer-smelling soap, you might try using other oils, such as coconut, olive oil, cocoa, or shea. You can also add scented oils to your soap. When first getting started though, I’d stick with a basic soap. As you gain experience, you can experiment with different ingredients. Ash from hardwood fire: I’ve found that maple, ash, and hickory work best, but any hardwood will do. You can also use soft woods. However, these contain a lot of resin. You’ll end up with a liquid soap (great for washing dishes and laundry) instead of a bar soap. Soft Water: Normal tap water contains too much chlorine and minerals to be used in making soap. You can use distilled water, or just collect some rainwater for making your soap. Pot: Do NOT use aluminum as the lye will eat through it. Stainless steel or enamel work well. You can also use a crock pot. Soap Molds: Wooden boxes work well. You might want wax paper for lining the boxes! To produce a good soap, you need hardwood ashes that have been burnt throughout. That means the ashes should be WHITE. The black chunks of wood contain too much carbon. One (messy) way to get pure white ash is to put all of your ashes in a sieve. Sift the ashes through the sieve – the white ash will fall out and the black chunks will stay out. 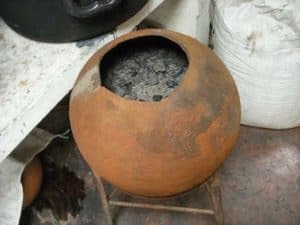 There are two methods you can use to make lye from hardwood ashes. The first method is easier but doesn’t produce as good of results. Let the mixture sit for at least 3 hours (though overnight is better). The ashes should settle to the bottom of the pot. Wearing gloves, collect the liquid from the top of the pot. It should be yellowish/brown in color, much like apple cider vinegar. With this method, you will pour the water through the ash. The water which drains off will contain lye. 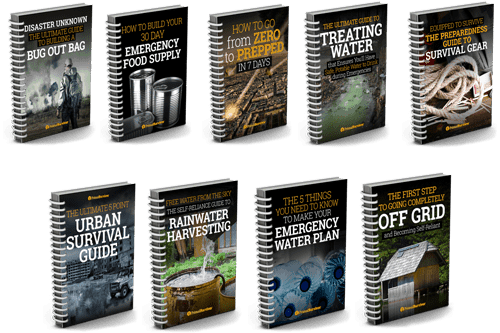 It’s easy to do but be patient – it takes time for the water to drain through the ashes! Get a plastic bucket, wooden barrel, or big clay pot. Poke a finger-sized hole in the bottom. Cover the bottom of the barrel with small stones. Put a layer of dried grass or pine needles on top of this. Then put your hardwood ash on top of this. Pack the ashes down as much as you can. There needs to be at least a few inches of headroom on top of the barrel. Prop the barrel up on some boards. Position a bucket or pot underneath to catch the lye. Pour soft water on top of the ashes. About 6 hours later, you’ll see water coming out of the barrel. Yes, it really takes this long! Don’t try to rush the process by adding more water. There are a lot of different measurements used for making lye. This is because it can really vary depending on the type of wood you use. As a general rule, 10 cups of ash = 1 gallon of lye water. Some of the water does stay absorbed in the ashes. So, pour 1.5 to 2 gallons of water through your leaching barrel to get 1 gallon. This step is completely optional. However, newbies might get peace of mind by testing the pH of their lye water. Lye water should be about pH 13. You can get pH testing strips to check this. Or, for a more traditional testing method, just put a chicken feather into the lye water. If it dissolves, then the lye is strong enough. If your lye water isn’t strong enough, then you can pour the lye water back through the leaching barrel. Recollect the water and test it again. Don’t worry if the pH isn’t exactly 13. Stronger lye soap can be used for tougher tasks like washing clothes. Weaker lye soap can be used for washing your body. In a stainless steel (not aluminum) pot, boil your lye water. 1 gallon of lye water should reduce to ¾ cup. This will take several hours! 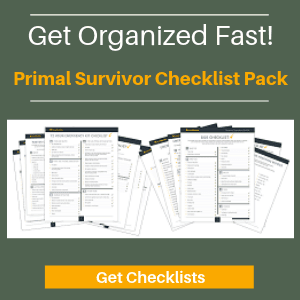 How will you know that your lye is done? It should be thick enough that an egg can sit on top of it. You’ll need the lye to be hot and bubbling while you do step 4. Carefully heat up your lard or oil. Slowly add the hot fat to the hot lye concentrate. Continue to boil the mixture. Stir constantly for 3 minutes. It should be thick like porridge but without any chunks. If you are making large amounts of soap at once, then add the fat gradually, stirring for several minutes each time you add more fat. Reduce the heat so the lye/fat mixture isn’t boiling anymore, but is still warm. It should be kept around 100 degrees F.
Stir the mixture for 1 minute, then let it sit for 10 minutes before stirring again. When the mixture is golden brown and doesn’t make streaks when stirred, it is ready for pouring. It might take several hours before it is ready. Keep it warm during this time! You’ll know the soap is ready to be poured when you draw a line across it with your spoon and see a line. If you want to add anything to your soap (scented oils, dried herbs, coffee, etc. ), this is the time to do it. Making soap requires a lot of trial and error to get it perfect. A good ratio to start with is 1 cup of fat to ¾ cup of concentrated lye. If you want to get really scientific about it, then check out this lye:fat table based on saponification. 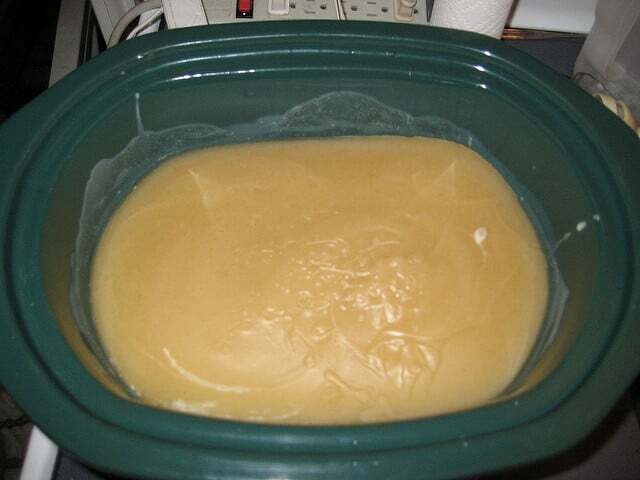 Lye and fat mixed together in a crock pot. It is ready for pouring now! Now you are ready to pour your soap into molds! Wooden boxes work well, but you can also use plastic containers. To make the soap easier to remove, line wooden boxes with wax paper first. You don’t want your soap to cool down too quickly or it will become brittle. After pouring, cover the mold with a towel to retain some of the heat. Remove the towel the next day. The soap will need to set for several days (ideally 7 days!) before you remove it. You can cut the soap to size beforehand though. It will be easier to cut when it is still soft. Soapmaking requires a lot of trial and error! Wood ash soap is usually really soft. Depending on the type of wood used, you might not be able to get it to set into a bar at all. One trick for making hard soap is to add salt. Use ½ tsp of salt per pound of fat (1lb is roughly 2 cups melted fat). Note that some soapmakers use a lot more salt – as much as 3 tsp per cup of fat. Just add the salt when you mix the melted fat into the lye. Make sure you are stirring thoroughly so the salt completely dissolves. Soap won’t thicken: Try adding more lye. If this doesn’t work, then it might be the quality of your wood (soft wood won’t make a hard soap). You can add salt to harden the soap. Mixture is greasy: Try increasing the temperature and mixing again. If that doesn’t work, then try adding more lye. Brown liquid is running off the soap in the molds: Just let the liquid drain off. Next time, add more fat to your soap. The soap has white ash on it: This is lye dust forming on the soap. Just wash it off and use the soap. Or, prevent it by keeping your soap covered while drying so the lye doesn’t come in contact with air. Soap won’t make suds: Unfortunately, homestead wood ash soap doesn’t make much foam. It will still get you clean though. Try using a loofa to mimic the sudsy sensation. 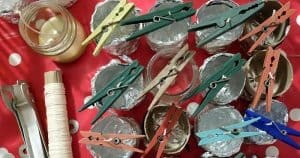 Have you tried making soap from wood ash? How did it go? 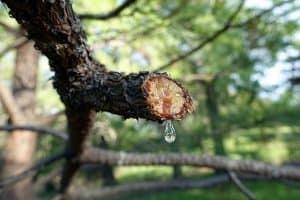 I’d love to hear what types of wood and oils you used and their ratios! This is really interesting and a well written article. I am hoping to do this someday soon. Made a soap mixture that was soft, had brown liquid separate in the mold. Left it to set for several weeks stayed a thick paste. Eventually crystals started to form on it. Seemed to burn skin a little too. I could find very little information to go on so I did some guessing. For instance, trying to float a raw egg on boiling lye was inconclusive. The egg would float at the top below the surface then sank. Not on top. I imagine it sank because it was cooking thru. I could not figure how far to reduce the lye. Starred with about two gallons and reduced it to about two cups. One recipe I read seemed to say I was supposed to put water into it before adding the fat. That made no sense to me so I didn’t. I could only go by the texture as to how much fat I would need. After reading yours I’m guessing I didn’t use enough. Only used a little salt. Coconut oil. Definitely some trial and error involved as there are so many variables. Let us know if you get some good results. I started making soap 2 years ago. I find it very satisfying, however being a working parent I also need to find time. It takes time and plenty of stirring to set up the soap. My father used to help his mother make soap as a child. Helping mom by stirring the soap.was a job he had to do but I wont let my little ones do this as the soap is caustic and I havent perfected my recipe yet. Also a tip: I use thrift store crock pots. No worries about what they are made of. There is no metal involved. I got thick soap base like batter. But it oil came separately after i added dried herbals . Unfortunately there is a lot of trial and error involved in this process. Impossible to say what the problem might be, have you tried some of the toubleshooting tips above ie adding more lye? So…I botched this royally. I cooked lye water down to 3/4 cup and the added salt and oil. The mixture hasn’t thickened at all. Instead, crystals formed and are sticking to the pot, and the oil is just sitting there. So, yeah. Haha yes this is a tricky procedure, lots of places it can go wrong. Keep trying!